A rocking toilet with consistently bad odors and leaks often indicate one thing, a worn-out toilet seal. Fixing it is pretty straightforward, but purchasing the best toilet seal for the job is quite a daunting task. There are two primary options: a wax seal and a waxless seal. Wax seals or wax rings have, for a long time, been the go-to choice for plumbers. However, the latter provides a newer mess-free alternative. Whichever is better is more of a personal preference. For now, the big question is – what’s the best waxless toilet seal or best wax seal out there? This article provides a narrowed down list of products we deem best for the job. And to top it all, a buyer’s guide for wise selection. Remember, what we provide is more than a mere run-down list. Hours of research and testing, backed-up with personal experience and user feedback, have made it possible to come up with an in-depth review of 8 options available to you. NEXT BY DANCO is a permanent wax seal with no wax to touch, how does that sound? The Perfect Seal makes it a reality and does so while taking the guesswork out of the whole process. It’s more than just a repair part, but rather an improvement part that upgrades toilet performance. A rubber gasket and a hidden wax ring provide a perfect seal every time. The coolest part, it’s 3x stronger than traditional wax rings. Patented design makes a practical solution for the best toilet flange depths. Take the top plastic extension for instance. You can take it out or leave it on depending on how deep the flange is. So, there’s no trouble getting a flush fit between the toilet base and the floor. For the record, it works for toilet flanges that are at a maximum of 0.5 inches below the floor, or 1.5 inches above. Well, the plastic extension isn’t the only part that adjusts for a flush fit. If need be, and as per the directions, you can remove the black plastic ring at the base. Doing so allows for a full compression, hence a tighter fit. The seal comes with a complete installation kit. There are mounting bolts for stability and easy re-positioning. Plus, you get two caps that go over the bolts to create a seamless finish. Perfect Seal offers a state-of-the-art solution that’s guaranteed to work every time. Plus, it takes the mess out of the whole process. There’s more room for adjustment, so getting a tight, flush finish isn’t much of a hassle. It’s one of the best recommendations for 3-inch waste lines. Reputation does matter, and in the world of toilets, Fluidmaster is a name that always stands out. Here’s a wax seal from the brand, a quick and straightforward solution to common toilet leaks. 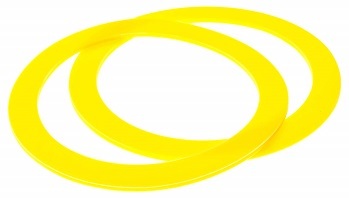 Fluidmaster 7513 makes this wax gasket with a difference, which means you get more benefits than you would from a standard seal. It boasts 40% more wax for extra-thick protection. You get a fit that’s more secure and watertight. 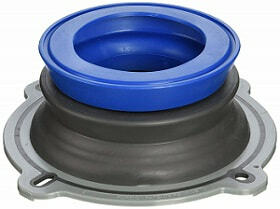 Fluidmaster 7513 works with two toilet flanges: one that is below the floor or one that sits at the floor level. It comes as good news to know that the wax seal comes with its flange. So, the installation process is pretty straightforward, and the seal is perfect. The fit is not only sure but also flexible to accommodate 3-inch and 4-inch waste lines. Extra wax equals extra seal, and that’s what you get with Fluidmaster 7513. I like the flexible fit it offers on common toilet waste lines. Plus, the bonus flange that comes with the package is a big opportunity to save on extra purchases. No more wax to clean, and no more headache, even when installing on sagging floors. I’m talking about Sani Seal BL01 Waxless gasket, a perfect seal that works on all flanges. It’s innovative design and flexibility is something to appreciate and for a good reason. The foam material compresses and relaxes with ease to conform to any floor setting, even one that tilts. It moves with the toilet while maintaining shape for trouble-free installation. BL01 gasket fits all flanges, but with some limits. It’s effective where the flange sits 3/8 inches above or below the floor. But here’s a catch, you can easily stack more to fit deeper flanges. Unlike a wax seal, installation isn’t a one-shot fit. You have multiple attempts to ensure you get the right setting. Since the gasket moves with the toilet, the bolts remain upright. That means easy installation and re-positioning. BL01 gasket offers a universal fit that’s pretty easy to execute. The seal is tight, and you can use extra sealant or wax for even better results. I vote it one of the top options for all standard toilets, regardless of the size. No wax, no mess, and no doubts. Fernco, a simple yet effective toilet seal makes sure of that. And it does so with little or no maintenance to expect in the long run. FTS-4 is high quality, long-lasting, and never needs replacement. It’s more like a one-time investment, and best of all, it does its job accordingly. The installation process is pretty straightforward. Just peel, stick, and you’re good to go. Rubber ribs create a tight air seal to lock in odors and prevent leaks. The rubber material creates room for compression. FTS-4 installs on toilet flanges below the floor, around 3/4 inches deep. So no need for flange risers. 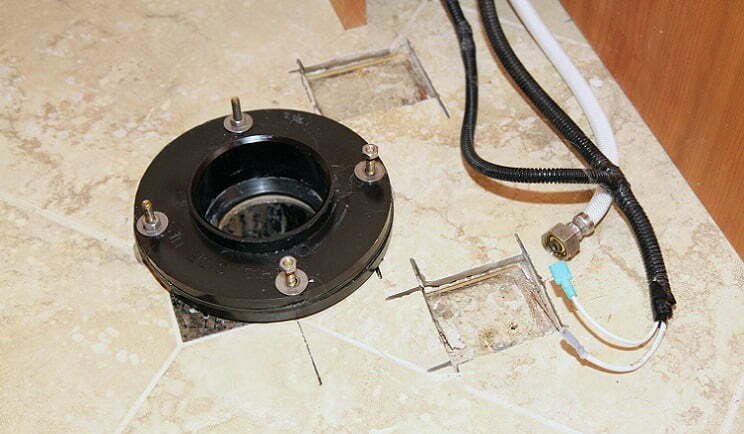 The seal fits 4-inch drains and works with flanges below the floor. The no-fuss installation is one thing I like most about this toilet wax ring. Plus, it’s surprisingly inexpensive; a perfect option if you have a tight budget. How about a Fluidmaster rubber seal rather than a wax ring? Albeit, you can do more with a simple, mess-free installation. Fluidmaster 7530P8 provides a universal fit for flanges that sit below, above, or even with the floor. Use the gasket with a slide-on spacer for a flange below the floor. Remember, the spacer comes with the package. Anything deeper and you can stack together multiple seals for a flush fit. The gasket, minus the slide-on spacer, fits a flange even or above the floor. You can re-position the toilet without breaking the tight bond. The seal is long-lasting and remains worry-free for years. The flexible rubber material can, to a certain extent, offer a perfect seal on uneven floors. 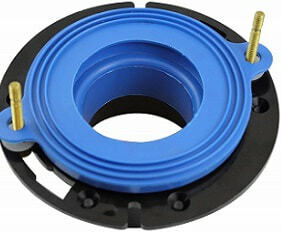 Fluidmaster 7530P8 fits any flange, drain, or toilet. I like that it’s durable and that the design offers room for a customized fit. Korky 6000BP, for many reasons, is a waxless seal that can take a beating. And to add to the durability is a flexible design that fits like a piece of cake. 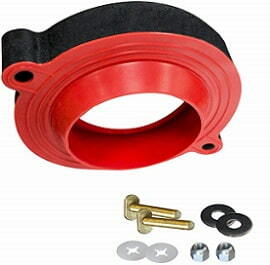 It’s a universal seal, one that fits all flange types that sit above, below, or even with the floor. Such easy adjustment is made possible via removable foam rings. Easy adjustment and flexibility provide a snug fit for 3-inch or 4-inch drain pipes. The exclusive durability of the seal lies in the rubber material. It has good anti-microbial properties and puts good resistance against chlorine and hard water damage. Korky 6000BP is wax-free, so re-positioning is possible during the installation process. That means easy installation can, in most instances, take less than 5 minutes. Plus, all hardware come with the package to make the installation process even more convenient. With Korky 6000BP, there are no surprises. It fits like a charm, thanks to easy adjustments and universal design. Want to save yourself from the miserable experiencing on installing a wax ring? Well, Korky 6000BP is worth giving a shot. For a plumber, a flexible coupling, especially for a toilet, equals quality and easy installation. To DIYers out there, FTS-3 wax-free seal is one product that matches the description. As for the names, FTS-3 sounds like a smaller cousin to FTS-4. But in design, the two toilet seals are entirely different. For the record, FTS-3 offers more flexibility and compression. It allows for a high degree of movement with the toilet and has more ribs for better compression. The seal perfectly centers itself and adheres on tight. Rather than a straight top (for FTS-4), it has a funnel shape top to increase surface area. Peel, stick, and install is the norm for Fernco toilet seals, and FTS-3 is no different. 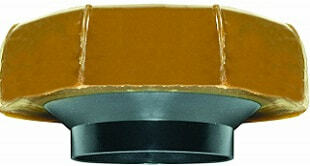 Whereas FTS-4 installs on 4-inch drains, FTS-3 fits smaller 3-inch drains. Its design is for toilet flanges that sit below the floor. FTS-3 is a design improvement over the FTS-4, but you get that at an extra cost. It addresses most of the problems of traditional wax seals. The seal is an economical and practical choice for in-floor radiant heat installation. We’ve been looking at seals for toilet drains. So how about something for the flush system? You might want to take a look at Kohler’s replacement seals. 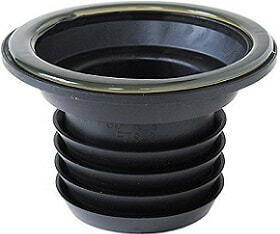 For starters, these are replacement seals for Kohler K-GP1059291 Canister Flush Valve. It works on all Kohler toilets, ones with a canister flush valve. Two pairs of rings make it a value package. I mean, you purchase once but use twice. Plus, installation is pretty straightforward: remove the canister valve, take out the old seal, and slip in the new one. Apart from the 3-minute installation, you benefit from a stronger flushing and a quieter toilet. And before I forget, the product comes with instructions that walk you through the entire process. Ghost flushing, leakages and noisy toilets all find a solution with Kohler replacement seals. And if color pleases you, then you have two options available: red or yellow. A mere list of the best products is quite incomplete, at least for a comprehensive review. So, how about a guide to help you make a wise purchase decision? After all, you might be having other products in mind, and you want to ensure they perform. Below are the primary factors you need to consider in your pre-purchase decision. Remember, some are more of a personal preference, so it doesn’t harm to choose one that suits your style. The type of material can either shorten or lengthen the life of the seal. You have four primary options: rubber, silicone, neoprene, and foam. In the case of rubber, choose one with anti-microbial properties and excellent resistance to chlorine and hard water. Silicone provides more stretch and strength to tear. Neoprene makes a versatile choice and has excellent thermal stability. Foam offers more flexibility and is much easier to stack together. Consider the flange height below or above the floor level. 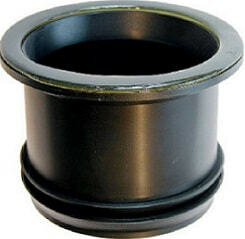 A rubber gasket seal works best for flange heights of up to 3/8 inches. In the case of more height, settle for a foam gasket seal. The foam creates a soft material that stacks together while maintaining a good seal. There are two things to consider here: evenness of the floor and floor temperature. Choose a wax-less seal over a wax ring in the case of a heated floor to avoid melting. For a sagging floor or one that tips on one side, settle for a foam gasket seal. You can set it at any angle without sacrificing the tight seal. Consider the size of the drain pipe. Most come in 3-inch or 4-inch diameters. Ensure the seal adapter fits the drain. Better still, you can settle for a universal seal, one that fits most toilet brands and drains. For an experienced plumber, fix a seal is a one-shot process. But for a DIYer, it’s a trial and error task. Choose a wax-free seal, preferably a foam gasket. With it, you can set your toilet multiple times without any damage. Settle for a quality brand, a manufacturer with many years of good reputation. If possible, it’s better to get the same brand for the toilet and the seal. Doing so guarantees a sure fit and saves time. Toilet seals fall under two primary categories: wax and waxless. Each has its advantages and disadvantages. Wax rings have been around for years. As the name suggests, the rings have a loop of wax made from petroleum, bee wax, or other ingredients. 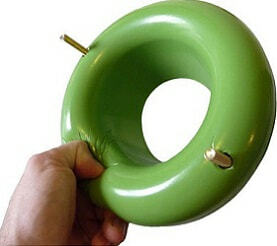 Wax rings are inexpensive and can adjust in shape to fit almost any toilet drain. Plus, they retain their sealing ability for years and provide better resistance to bacteria and mold. On the downside, they’re pretty messy. And in situations where you need to stack more than one ring, wax seals will only do more harm than good. Plus, it melts under heat. A modern approach that addresses most or all the problems of wax seals. It’s mess-free, and you can use more than once. The seal doesn’t melt, which makes it great for heated floors. Also, you can stack multiple seals to fit deeper flanges. The downside is that there’s an extra cost to pay for such benefits. I mean, waxless seals are more expensive than wax rings. Different factors make up the best toilet seal. Some are in the features, personal preference, or the existing condition of your bathroom. Regardless, I’ve considered all these to give you the top-rated products; toilet seals that will indeed pay off. But before you run into the store or hit that purchase button, how about telling us what you have in mind? Maybe a personal experience with one of the above products or an add-on on the overall review. Let us know in the comments, and until then, wish you the best of luck!